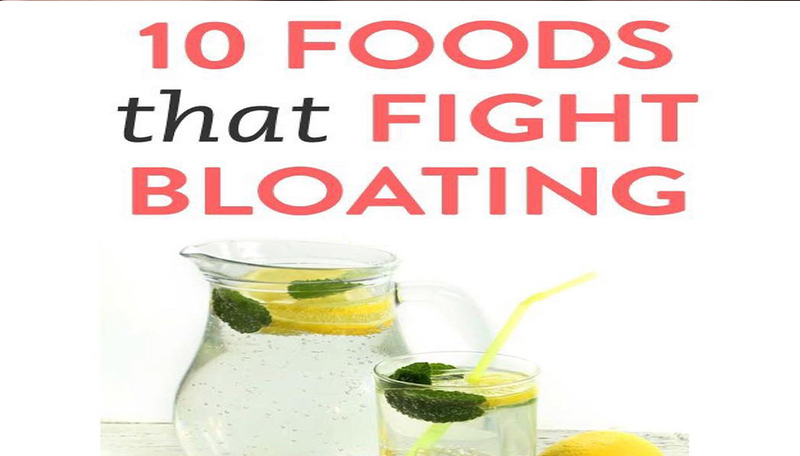 So it’s especially important when you are bloated to push fluids through your body, not eliminate them. That way your body is no longer is in fear of dehydration and will let go of the excess water it’s storing. lemons, being a natural diuretic and a gentle laxative, can reduce the amount of salt retained in your body. Add lemon juice to warm water for maximum effect. The chemicals that reside in stalks of this vegetable have been known to decrease fluid retention. That’s one of the reasons celery is commonly used as a digestive aid to regulate bowel movements and control intestinal gas. Watermelon also has natural diuretic properties and is an excellent source of potassium, making it very helpful in balancing the levels of sodium and potassium in the body, which is also important to taming bloating. Consuming a sprig on its own would be a little weird, so steeping some in your next cup of tea or combining it with some celery to make a broth is a good way to get what you need from it. They are naturally high in both estrogen and protein, if you slowly work them into your diet, your body will adjust to the compounds that cause the gas. And then you will only see the benefits of the bean. 6. RICE Rice and rice flour are a good substitute for starches like like wheat, oats, corn, and potatoes, as rice is fully digested in the small intestines, giving it the least chance of forming gases in your gut. 7. YOGHOURT Your best bets are plain, non-fat or low-fat yogurt. If you have a sweet tooth, it is better to mix in fresh fruit at home rather than to buy flavored yogurts, which can be high in added sugars. 8. BANANA If you suspect today’s bloat is a result of last night’s salty dinner, add a sliced banana to some oatmeal this morning to bring back the balance. Papaya is still worth considering, as you can easily pop some slices into a breakfast smoothie.